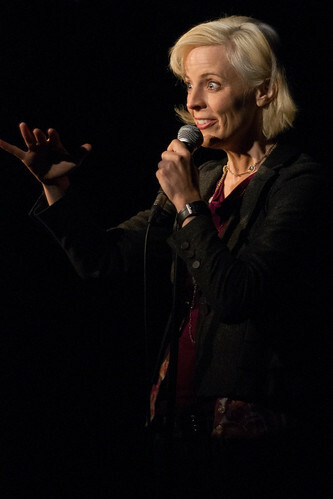 The annual Dark Comedy Festival officially kicked off this week, with Maria Bamford as the opening weekend’s main attraction. 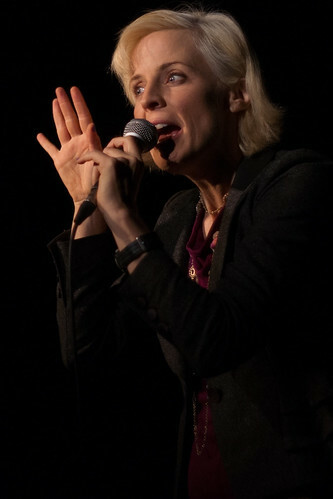 Approaching the sell-out point for her other five performances at Toronto’s Comedy Bar, she played to a crowd of last-minute types with an added performance late Thursday night. Hearing Bamford’s name associated with “dark comedy” is initially jarring. “But she’s so sweet!,” you think. Yes. But while she’s not the brooding type, there’s no question her material delves into the very darkest of subject matters. Perhaps the only shocking aspect is the ease with which she talks about such issues as mental illness and suicidal thoughts. 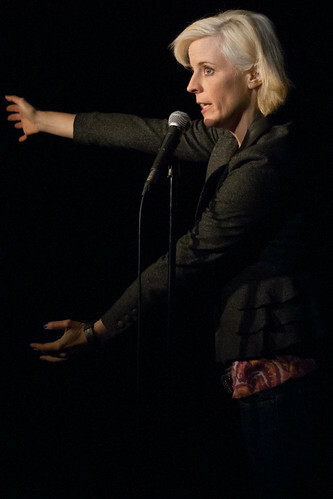 Even her cartoonish (yet undoubtedly accurate) impressions of her mother and sister come with implications of fascinating, deep-seeded issues that captivate comedy nerds and impress the hell out of other comics. Bamford plays two shows per night Friday and Saturday. 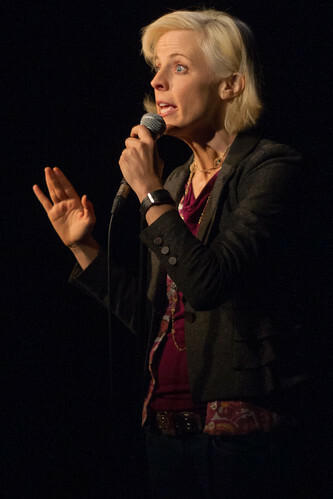 The Dark Comedy Festival continues through next weekend, with shows from Jim Norton, Eddie Pepitone, and more. Info and tickets are available through the festival’s website. Photos copyright Sharilyn Johnson / Third Beat Magazine, and may not be used without permission.